With the start of a new year comes so much renewed energy! Everyone is pushing forward with their new year’s resolutions, excited to forget about last year’s challenges and make this year the best yet. Professional goals are set and for the first few weeks it’s exciting to meet them. Then very quickly day-to-day ‘life’ sets in, that goal of ringing 20 clients a week slowly becomes a chore. That exciting goal starts out generating leads and then slowly starts to feel like it is just a waste of time. I think all business owners are guilty of wanting to start the new year off with a bang, the mind set of ‘I am going to overcome everything that I struggled with last year and everything will be great’. But when the only thing that has changed is the year, how are tasks that you struggled with last year going to be any different? To make this year different first you must set yourself up for success! And now is the perfect time to do this! 6 Simple steps to set yourself up to succeed with your new year goals! The is no point in having goals and not telling people about them. Everyone needs to be working in the same direction. No matter what the goal, your boss needs to know what you are working towards and your employees need to know what they are working towards. Take the time to think out the goal and write in down with detail, what you want to achieve, why do you want to achieve it, and when will it be achieved by. Be accountable! Big long-term goals are great, but they can also be overwhelming! Break it down; you want to achieve 60% growth in the next 12mth? What needs to happen to make this work? What needs to happen in the 1st month? In the 2nd Month? By breaking down the big goals to more achievable goals you are going to stay on track and focused easier. Look at all the steps that you need to get to the end result, put a name next to each step for who will be responsible for completing it. Put some thought into who has the right skills for each step. Make sure the skills that you have available are used wisely, make the most of each and every member of your team. Don’t have the right team members for the steps? Find them! Review your steps for each goal weekly, what is working, what isn’t? What’s the point of having goals if you don’t achieve them! And how are you going to achieve them if you don’t stay on track! Review each step on a regular basis, talk to the people involved in each step and work out any problems before they delay the goal. You set the date back in step 1, have it marked in your calendar, on the wall, in car, anywhere you will see it every day and set the challenge to beat it! And when you do… reward the team that were involved in the success! Then set the next goal and aim high. Don’t wait till the start of the next year, 2018 is a long way away and there is so much still to achieve in 2017! 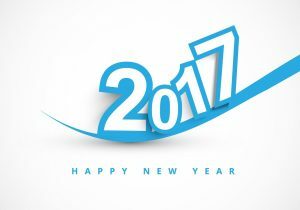 Adminlink Plus wishes all businesses a successful 2017! Get out there set your goals and make your dreams come true. If you need any help in setting your goals and making them happen let us know, I am happy to offer a free consultation for goal setting till the end of February.